While its popularity has evened out over the last few months, Pinterest is still carrying a lot of the momentum it gathered at the beginning of the year. Considering that it drives more referral traffic than Google+, LinkedIn and YouTube combined and had 23 million unique visitors to the site in August, its ability to direct more traffic to your site has rightly gotten businesses and brands interested in the service. On top of that, the introduction of business pages makes it obvious that Pinterest wants them to get involved. There’s a process to everything though and like all things, you will have to put the time and effort into it before you start seeing results. Here we will focus on the ways you can improve the content you’re posting, how you can use Pinterest to direct traffic to your site and ways you can optimise it for SEO purposes. Repinning is a great way of building up new followers, but to be truly influential, you need to pin your own content regularly and before everyone else. In your communities, keep an eye out for content that has already been posted to see what people like and look for content that haven’t been pinned yet. If you become a source for original content, you will have a greater chance of getting repinned and obtaining new followers. Pinterest is a very visual site, but there’s nothing to say that you can’t pin videos on your boards. It’s good to mix up your content a little and provide these links, just to see how exactly your followers react to it. You can only pin videos from YouTube and Vimeo, but considering the former has 72 hours of new video uploaded every minute, this won’t be limiting. It’s never a good idea to focus all of your attention on the one board. For one, it’s will overwhelm those following your board and it will neglect those following your other boards. Even if it’s a board that you can’t find much content for, it’s better to update it every so often than to leave it dormant so take the time to update your boards at least once a week so to keep things fresh. If finding content becomes difficult, change the title to something more general so it becomes easier to find content to pin. If you’re preparing a new board and would much prefer to populate it first before revealing it, Pinterest’s new secret boards is what you’re looking for. You don’t ever have to publish these boards so you can use it for other purposes such as bookmarking links and if your account is used by more than one person, you can use it to share links and ideas among yourselves. Also, if you were running a competition on the site, you can arrange boards first before revealing them and prepare boards in advance if the competition requires more than one. Think outside the box and you will find a number of uses for them. The Web is vast and the chances of you coming across content that you want to pin is quite high. As you’re not going to be on Pinterest 24/7, browser plugins are a handy way of pinning content without having to access your account. If you’re a Chrome user, Pin It and Pin Search are handy plugins and if you’re a Firefox uer, Pinterest Right Click is all you need. Alternatively, you can settle for Pinterest’s own ‘Pin It‘ button, which can be downloaded directly from the site. While your descriptions can go up to 500 characters, the chances of people reading the entire description (unless it’s a competition) is slim. This is especially true when you consider that only a small portion of that description will be visible when you’re browsing boards. It’s best to keep descriptions short and sweet so that both the image and text is easily visible. The description should be used for placing keywords that will help users find your content. The easiest way to get any site content shared is to install a widget on your site. Don’t underestimate the power a Pin-it button has in getting your content out there, but before you rush off and add one, you need to determine whether adding such a button is beneficial for you. If your site has a number of different widgets, it might be better to remove one first and replace it with the “Pin It” button so you don’t clog up your site. Like any social media site, you shouldn’t go overboard when posting your own content. The focus should always be on providing good content for your users that they can share with their followers and friends. However, that doesn’t mean that you can’t slip in one or two of your posts every now and again. Make sure the topic of your blog post matches the board you’re pinning it up to and don’t overdo it, people don’t mind such content appearing so long as it doesn’t dominate their feeds. Ensure that the image you’re using is of high quality as it is the first thing users will see. If your page is popular with users, it’s a good idea to verify your website so that people can find your site through your Pinterest page. Currently, your website is hidden away as a globe icon, which not many people would realise is a URL button. Getting your site verified can help boost your site visibility and improve your SEO efforts. The process can be a little daunting for those who aren’t tech savvy, so if you’re not feeling confident, you should ask someone with basic HTML skills or your web designer to do it for you. For those undaunted, start by going into settings, and scroll down to the section which allows you to enter in your website. Here you will see an option to verify your website. Click this and download the HTML verification file, making a note of the code at the end of the file. You will then need to upload the file onto your web server at the root folder as http://www.yourwebsite.com/pinterest-xxxxx.html. When that is done, return to the verify page and press the “Click here” link to verify your website. Alternatively, you can add a meta tag which you can add to the head of your index.html file. Once that is done, return to the ‘Verify Website’ page and click on step two to complete the process. This feature is only available for top-domain addresses (home page addresses) like www.simplyzesty.com. Addresses like www.simplyzesty.com/facebook won’t work as it’s a subfolder. If you use a service like Google Analytics, then you should definitely monitor how much traffic it generates for your site. You should have a good idea of what content works, but don’t expect traffic to jump up immediately when you’re starting off. Experiment with the type of content you’re posting and monitor the results through repins, comments, and the amount of traffic redirected to your site. Most images that you pin will provide you with a brief description of the page. While this is fine, sometimes it doesn’t quite explain what it is you’re pinning. You’re better off removing the text provided and providing your own summary. Pinterest give you 500 characters to work with so unless you’re running a competition, you shouldn’t really need more than 350 characters for a pin. Just like Twitter, hashtags are a handy way of categorising your content, but much like the microblogging site, it’s better to only use one or two hashtags to describe your content. You should use general terms when creating your hashtags so that it’s easier for people to find your content when they’re using the search bar. Search engines rate your site based on the number of backlinks you have built up. When you’re implementing your SEO strategy, include links to your site in some of the description. What happens is that when these pins are shared, it creates a back link which bumps up your SEO ranking. Over time, you could see your site’s SEO ranking rise because of this. Just in case, you should check to see if ‘Search Privacy’ is switched on as this could be preventing your profile from appearing on search engines. Turning it on means that your profile won’t be found if someone tries searching for it on Google or Bing. Econsultancy uses Sony as a case study and shows how it used Pinterest to drive traffic. PR Daily offers seven proven ways to create viral Pinterest posts. Social Media Examiner shows you how you can use Pinterest to generate more traffic to your blog. Paper.il offer 13 tips that will direct more traffic from Pinterest to your site. Unskinny Boppy offers a comprehensive post on how to use the platform to go viral as well as other helpful tips. 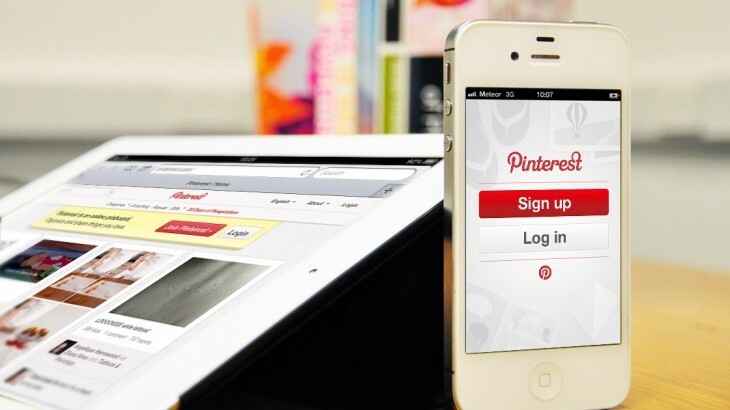 AdviceMedia offer a brief list on how to make your website go viral on Pinterest.